On Thursday, Feb. 7, at 8 p.m., the Gwinnett County Police Department will be featured on an episode of The First 48 on A&E. This will be the first time the department has been featured on the show. The episode, called Flashing Colors is episode five of season 18 and covers the investigation of a homicide that occurred on Oct. 1, 2017 at the Midnight Blu Café at 5050 Jimmy Carter Boulevard in unincorporated Norcross. Two people were shot, one fatally. The homicide victim was identified as 19-year-old Domiquo Riley of Snellville. 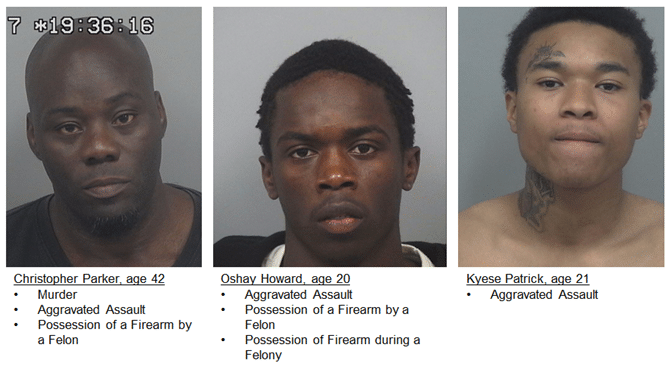 Ultimately, three people were charged in relation to the crime: 42-year-old Christopher Parker, 20-year-old Oshay Howard and Kyese 21-year-old Jahair Patrick. All three suspects are still incarcerated awaiting trial.